Now after eight centuries, Paramhansa Yogananda, one of the great mystics of our times, a master of yoga and the author of the now-classic Autobiography of a Yogi, explains the mystery behind Omar's famous mystical poem. 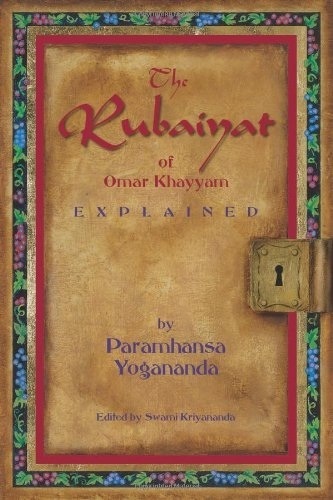 The Rubaiyat of Omar Khayyam Explained is available at last, edited by one of Yogananda's close disciples, J. Donald Walters. This new & expanded version is now available in paperback.